After years of living in the shadow of other safari destinations, Zambia is fast coming into its own. 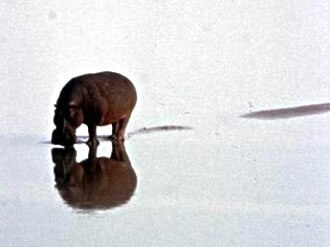 Its remote, wild parks offer opportunities for combining a wide variety of activities during one safari: treks and walks (at a pace set by the individual), game-drives during the day and at night (in open vehicles with no sides and no top), even canoeing and/or boating on the Zambezi. Zambia’s varied landscapes include the rugged Luangwa Valley, an extension of the Great Rift Valley Escarpment and possibly the best place in all of Africa to find leopard, the Zambezi valley, and incredible Victoria Falls, the largest curtain of water in the world. The following itinerary is meant to help your safari planning. 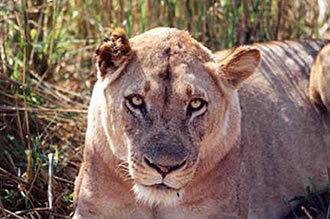 Since 1974, we at Cowabunga Safaris have done many, many kinds and variations of safaris to Zambia. Do you want something more upscale? Do you want something more rustic and participatory? If you have a different safari in mind, wish to stay longer, or want to travel to other parts of the continent, tell us. We can make it happen. The safari below is in PDF format. To view it you will need the Adobe Acrobat viewer/plugin.